This package of 480 servings of freeze dried meat ships with 160 servings of long term rice, giving you a total of 640 servings. This is the ideal way for an individual to stock up on food, so it will be there in any situation. Whether you live in an area affected by weather emergencies, or you want to be prepared for a global economic meltdown, having a supply of food to keep you strong is essential. This package from Wise Foods will be there for you long into the future, so you’re always prepared for the worst. 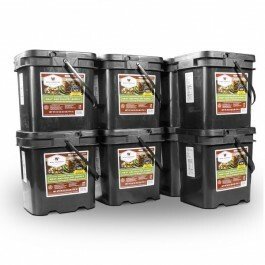 Preparing for a disaster can be difficult, but with this freeze dried meat package from Wise Foods, it is extremely fast and easy. You’ll get an assorted 480 servings of freeze dried meat, packaged along with 160 servings of long term rice. All the food in this package was packaged to not only fill you up, but also to provide you with all the vitamins, minerals and other nutrients you need to stay strong and healthy in any situation. 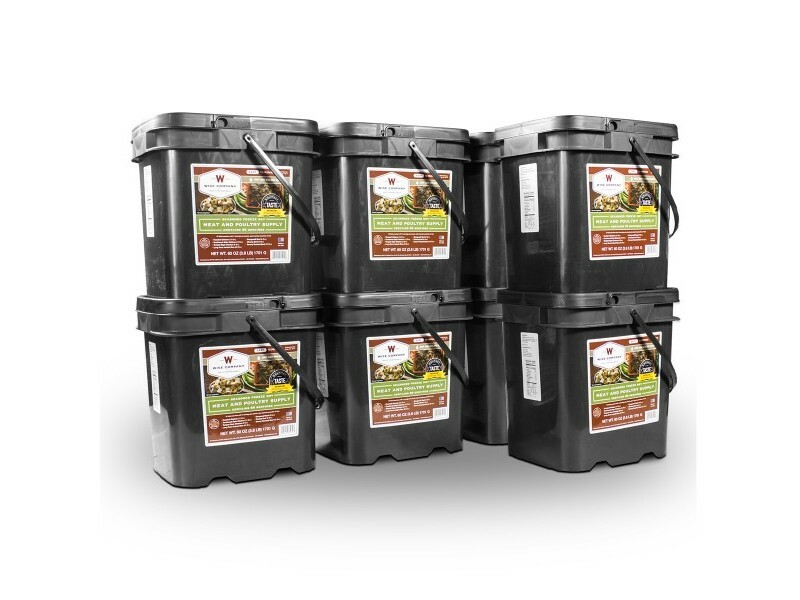 All of the meat and the rice come in large plastic storage containers, which will keep your food safe from pests and other contaminants, so it can be stored for a very long time. It is also easy to grab these containers to load up in your vehicle if you have to evacuate in an emergency. No matter the situation, this package of 480 servings of freeze dried meat and 160 servings of rice is sure to keep you strong. 480 servings of assorted seasoned freeze dried meat plus 160 serving of long term rice extra for a total of 640 servings.